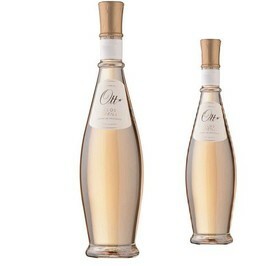 Ott rosé wine from selle vineyard is releases fragrances of citrus fruit and orchard flowers. 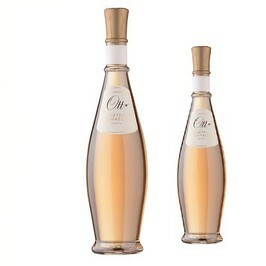 The Coeur de Grain Côtes de Provence Rosé by Ott vineyard have a pale colour with golden reflextions. The fine nose evokes fishing, citrus fuits and some notes of vanilla and cinnamon. The mouth mixes the sharpness of the terroir and the fruity roundness. The Ott Rosé vineyard by Ott vineyard is ideal with mediterranean grilled fishs, grilled meat (like lamb), and also with more exotic meals like asian. Served at 11°c. Ott is a a historic estate in Provence. It is in 1896 when Marcel Ott transplants all his domains of Provence of noble vines to develop of Great wines of Provence, authentic and deserving of a thousand-year-old tradition. Generations after generations, the Ott family knew how to develop a noble family of rosé, red and white wines in 3 domains: Château de Selle, Château Romassan and Clos Mireille. The vintage Coeur de Grain, cultivated on every domain is a rosé of exception, most end of the world. In 2004, Domaine Ott joins House of Champagne Louis Roederer. Both cousin Christian and Jean-François Ott took back the set of three domain, since 2009. The two cousins Christian and Jean-François Ott have managed the three domaines since 2009: Château de Selle, Château Romassan et Clos Mireille of Ott domaines from which the Crus are today on the most prestigious table in the world.